Are you having problem when it comes to understanding your partner’s personality? or maybe you’re trying to understand yourself as well? Read and follow Astrology Horoscope and see the characteristics of your astrological sign! Follow your horoscope and your astrological sign and you will improve your life, your career and your relationship! For the astrological sign Cancer the stability is very important in a relationship. So the word that characterizes the relationship with a Cancer is stability. If a Cancer feels security and protection in a marriage, he will forever be a faithful and loyal partner. Even in situations when he has problems or conflicts, he is optimistic and he always gives a chance for the relationship. Cancer is a partner who wants to have a happy marriage and a nice house because he likes the family and for him, the family is a temple where he feels safe and happy. In fact, the astrological sign Cancer is afraid to be alone and that is why he is possessive but he is not a jealous partner. Keep in mind that Cancer offers the freedom to their partner only when he feels protected. Pay attention that he is a sensitive partner that can be easily injured: sometimes he does not want to give up the relationship because he wants revenge on their unfaithful partner. Cancer has a visible emotional instability in its critical moments. The astrological sign Scorpio characterize mysterious individuals who are passionate and possessive. Scorpio likes to dominate his partner but also his family. The verb that characterizes Scorpio is ‘to wish’ because they have a good ability to manipulate and influence others. 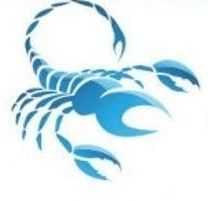 The astrological sign Scorpio has a strong personality and he has the talent to sting. 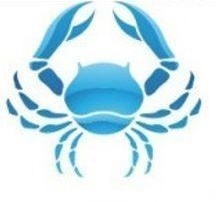 Scorpio is loyal, sensitive and protective in relationship. In case of marriage, the Scorpio man loves sincerely his partner but sometimes he is possessive, that is why you can easily have conflicts. Keep in mind that Scorpio never gives a second chance for treason! So, please be a loyal and honest partner if you want to have a happy long life with a Scorpio! Pay attention that sometimes Scorpio is unfaithful and jealous in the same time! The astrological sign Pisces can be characterized as the most unfaithful individual of the horoscope. He may have a wife and a mistress at the same time but he will never be happy because of their uncertainty. Pisces like complex and ambiguous situations especially when they are not involved in finding a solution or in solving the issues. Sometimes Pisces are not able to act, that is why they still waiting for someone else to decide for them. They are individuals who enjoy life, they have dignity, they are polite and responsible but they are tempted by adventures. 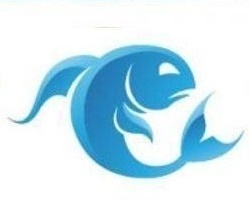 Pisces men make compromises and they promise easily in order to have a happy marriage! Listen your partner and ask him to be honest! Keep in mind that Pisces can easily abandon his partner when he realizes he does not share the same feelings! But in relationship Pisces man is very romantic and he does everything for his wife!